Monoprice Maker Select V2 Modifications and Improvements, Increase 3D Printer Quality! The Monoprice Maker Select V2 provides an affordable, yet great printer for any beginner to begin tinkering with. Out of the box, printing can begin in a matter of minutes. However, I was not satisfied with its performance. I quickly went online, finding a mod community behind the printer. Utilizing 3D object sharing websites such as GrabCad and Thingiverse, I quickly went to work making modifications to the printer. 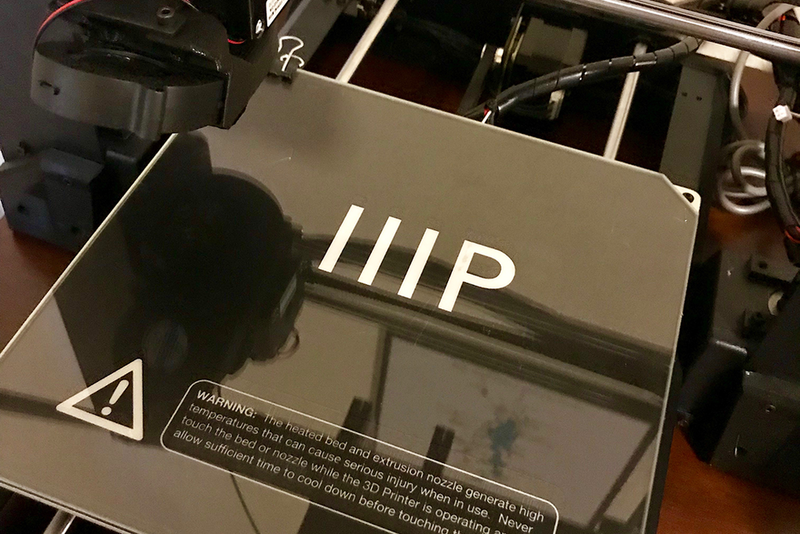 This list of modifications is intended to be a source for readers wanting to perform affordable modifications on their Monoprice printer without having to navigate many sites to find all the information. Before performing these modifications, I highly recommend ordering M3 and M4 bolt assortments from the following links. This will save a few trips to the hardware store and is cheaper in the long run. The first of the modifications I found necessary was a better fan for cooling the 3D printer filament as it was extruded out of the nozzle. There are many fans available for whatever system of cooling one sees fit. I chose to go with a filament cooler. 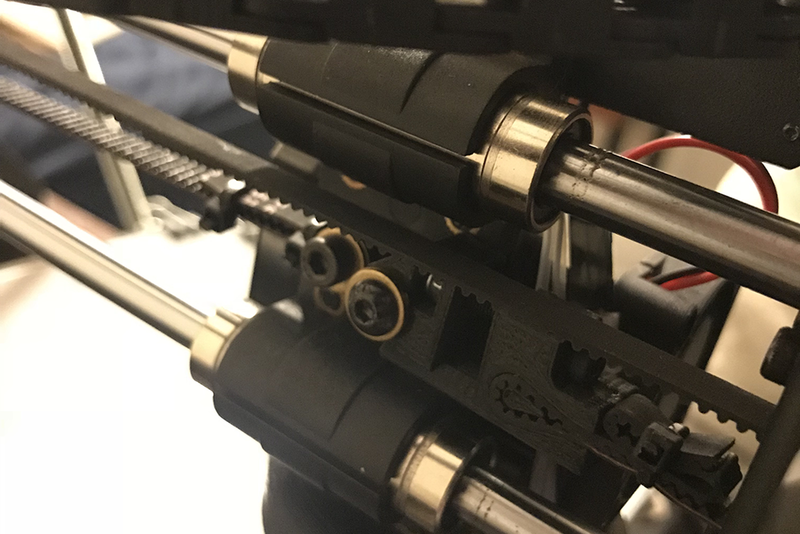 A much better alternative than the stock fan setup, this cooling system provides cooling from all sides of the nozzle and provides even airflow to each point on the extruder, ensuring the filament hardens in a uniform manner. With a large list of parts waiting to be printed, I wanted a place I could keep track of them all before assembly. Using Onshape, I designed a parts tray that fits on top of the control box to hold those parts. Next on the list was a mosfet module that bypasses the main current of the heated bed and extruder away from the circuit board. There have been recorded instances where this printer ignites because of a major flaw in the engineering of the circuit board. This mod is very simple, and there are instructional forums on how to install this properly if you have little to no experience with electrical. Another performance enhancement one may see with this modification is more precise temperatures seen by the heated bed and extruder. After completion, go back to the configuration menu and select Store to EEPROM. This will ensure the settings are saved for when the printer is turned off and back on. The z-axis on the Monoprice lacks in structural rigidity. During prints, especially tall files, you may notice the gantry shake as the head moves to its different positions. In order to fix this, I found a great setup that uses 3/8” all-thread rod with hex nuts in order to form a sturdy cross structure that braces the z-tower to the lower legs of the gantry. The glass bed is a modification that is not completely necessary for better printing. The main perk to having one is it is almost effortless to take a part off of the build plate after. I recommend purchasing mini binder clips in order to hold the glass on the bed properly. This modification I was hesitant to purchase at first. For $30, it is one of the more expensive ones on the list; however, I started to notice that after frequent printing, I was needing to level my bed constantly. When diagnosing the problem, I removed the original steel plate from the printer to find that it was extremely warped from the heat of the bed thermistors. To fix this, the aluminum plate in the link below is much thicker and I have yet to see any warping even in the thinner portions of the piece. The all metal hotend was another modification I was hesitant about purchasing at first. 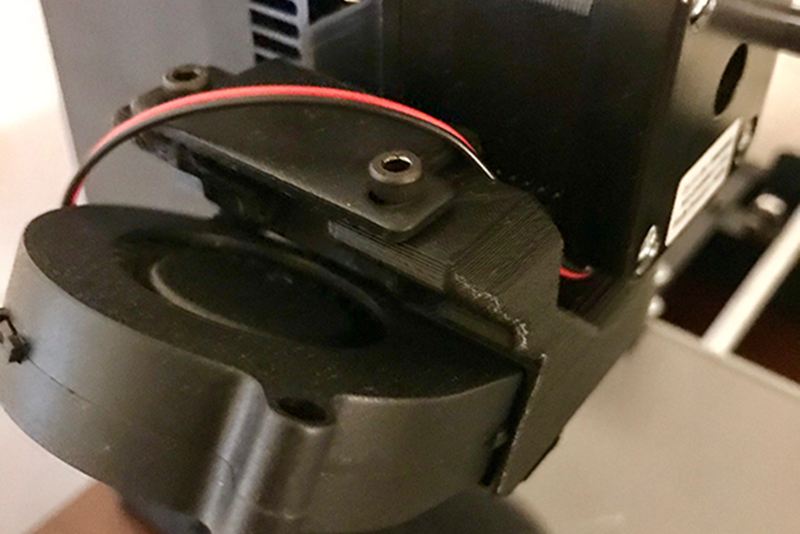 My printer never had any issues with the stock hotend that uses a nylon tube to heat the filament evenly; however, I frequently read that users who want to print other materials such as ABS, PETG, and TPU benefit greatly from this modification. Even for PLA printing, I saw more even layering with less lines on the part from this modification. This is one of my favorite mods in the list but is a low priority when first using the printer. Over time, the X and Y belts will become elongated and require to be tightened to ensure they won’t slip when printing. These tensioners provide a simple solution to this problem and are a much better than the stock configuration. During a print, if you place your hand by the air vents on the side of the control box, you will notice it is rather warm air that is exiting. Although it is not absolutely necessary, I wanted to know that my box was being properly cooled. This modification is slightly overkill (an 80mm or 60mm fan would work as well), I purchased the biggest CPU fan I could fit on the back of the enclosure and now the control box is extremely cool throughout the entire print. The y-axis braces strengthen the steel plates that hold together the linear actuators and belt pulleys that attach the y-axis on the printer. This mod does not show many vast improvements but does provide more assurance that the printer can handle higher speeds. It also adds better looks to the front of the printer when the z-braces are attached. One of my biggest pet peeves with the Monoprice was how much friction the filament experiences on the stock spool holder. I also had instances where the spool would somehow come loose and fall on to the part because it was not properly secured. With the bearing spool holder, friction is minimized so the spool is only moving on its outer flanges. I saw drastic improvements in print quality from this mod because the extruder motor did not have to work overtime to push the filament through the hotend. This modification is only necessary if the noise of the Monoprice is too much to handle. This modification really helped! The printer is much quieter and does not send stepper motor noises through my apartment. Because the square-threaded rods that drive the z-axis are not attached to any sort of bearing on top of the gantry, these parts help strengthen the rods. They help the actuators point more vertically in order to ensure that when prints get tall, it is not unsteady. For an additional $150 on top of the original printer price, one can achieve a printer worthy to stand next to printers that cost three times the price. Now all there is left to do is start tinkering!